All the Uth family had been praying for John Aaron as well as his doctors and we praised the Lord for the good news! I’m sure John and Gina were so glad to see you all to celebrate with them even though it was a quick trip for all of you. We thank God for the blessing of you all as our family! We sure felt your prayers as we were at peace through it all. I can’t fully express how much Cathy and I love and appreciate all of you. Hope to see you soon. Didn’t know about this at all, and to hear it’s working out in a gratifying way is a blessing. I wondered if, in the title, you were playing off that old dig at Cleveland, the one that spoke of a contest, where first prize was an all-expense-paid weekend in Cleveland, and second prize was two all-expense-paid weekends in Cleveland. Not fair at all, of course. I’ve had great, non-medical experiences in Cleveland and once wrote a Baptist Press piece on the Christian heritage of the city. 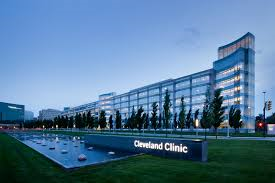 As we were flying to Cleveland I was thinking about a tune I heard Larry Gatlin (Gatlin Brothers) once sing about Cleveland; “If the Doctor says you’ve got a week to live, go live in Cleveland; it’ll seem like a year before you die!” He got in a lot of trouble over that one. We were glad our Cleveland experience ended well even tho’ costly! Thanks for reading my ramblings!